We’re going on book tour for our new book, Money Diaries: Everything You’ve Ever Wanted to Know About Your Finances… and Everyone Else’s. First stop: San Francisco on Tuesday, October 2! Grab your tickets here! 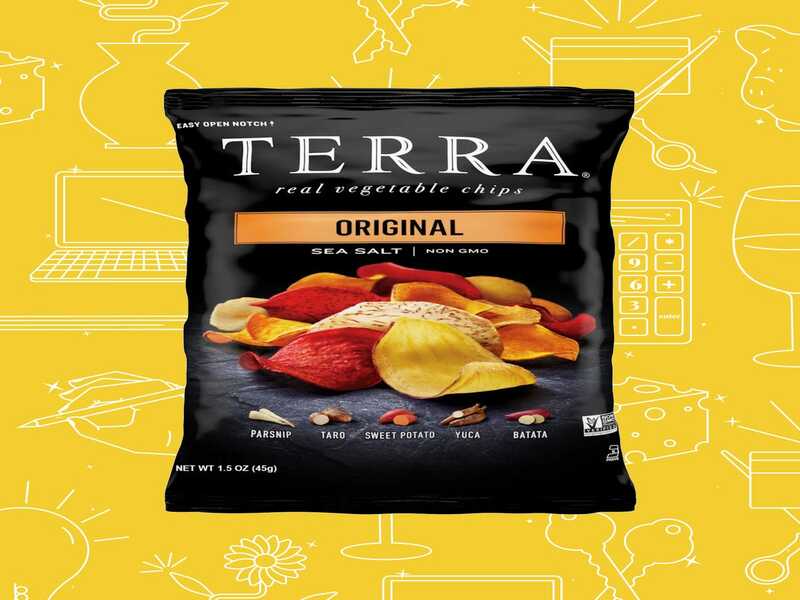 Today: a nurse practitioner/assistant professor working who makes $102,000 per year ($220,000 combined with her husband) and spends some of her money this week on Terra chips. 7 a.m. — Wake up and lounge in bed for 15 minutes. I shifted my work hours on Mondays because I’m teaching a class at night, and that means waking up an hour earlier. 7:45 a.m. — I assemble a PB&J for breakfast and eat it on my walk to the PATH. I use my unlimited monthly pass and get a seat on the train. Now that I’m getting to work earlier, I can avoid the rush. At least for today. 12:30 p.m. — I’m done seeing patients for the day, and head out to pick up my lunch. It’s a MealPal day and I reserved a fancy grilled cheese and soup combo from a restaurant nearby that I’ve never tried. I opted for the 12-meal plan, and it is very satisfying to walk into a restaurant and pick up a full-sized lunch without exchanging money. I take the meal back to my desk and start on notes. 1:30 p.m. — My boss comes in to offer me fruit from his garden and my officemate offers me a cookie. I may not make the salary I could elsewhere, but one of the things that keeps me in my current job is my coworkers — they’re fantastic. 6:30 p.m. — Short class, since it was just an introduction. I think they could tell I was nervous. No matter what, this is a big opportunity for me. Head home, and tell my husband to wait for me to have dinner. 7:45 p.m. — Walk in the door to a surprise cake from my husband. He baked one to celebrate my first day teaching. He’s the absolute best. He also throws together quesadillas with turkey and rice for dinner. What a wonderful way to be greeted. 10 p.m. — Get in bed and watch Netflix for a bit. I usually fall asleep around midnight. 7:45 a.m. — Alarm goes off, and I stay in bed for a while browsing the internet. I’ve been really bad about getting up for work lately. 8:30 a.m. — Finally out of bed. I make my standard half PB sandwich and head off to work. 10 a.m. — Today I’m giving a presentation to some of our social workers about medical conditions that our clients have so that things don’t feel so foreign. The lecture goes well. 6:30 p.m. — I get home from a long afternoon of seeing back-to-back families and immediately go on our elliptical. If I don’t do it right when I get home, there’s no way I’ll work out. 8:02 a.m. — Up with my alarm today. I often set alarms at random times before or after a round number. I’m not sure why I do it, but I find it more relaxing to wake up at 8:02 than 8. That’s two extra minutes of sleep! 9:30 a.m. — My coworker brought bagels today because we have a new nurse starting in our department. I grab a blueberry bagel the size of my head, slap on cream cheese, and call it a day. Seriously, I’ve never seen bagels this large. She apparently got them at a bagel place in Astoria. Then I head into a morning full of meetings. 1 p.m. — Finally done with meetings and run out to grab lunch. Another MealPal credit. This time a Lebanese salad with grilled chicken. I bring it into the nursing office where I chat with a few nurses about my bad mood. I’m not sure what’s wrong — maybe just the stress of this new teaching gig on top of some outstanding notes I have to write. Either way, I feel better after venting. 12 a.m. — Finally home! The pizza-making took much longer than expected, but I had a lovely time with my friends. They got a new cat, too, and they were trying to get me to warm up to him. I’m just not a cat person. Once home, I quickly get ready for bed and try to fall asleep, though it takes a while. 7:37 a.m. — Wake up and quickly head to work because I have a student coming today to shadow me, and I need to get to the office to prep charts before she arrives. 7:45 a.m. — Up again, PB again, and I’m out the door in a hour. 12:50 p.m. — I take part in a strategic planning group to discuss our agency’s long-term vision. It’s very interesting and full of departmental directors. I’m waiting on the official word about a promotion to Assistant Medical Director. It’s all set, but the raise isn’t finalized yet. I’m not expecting much, though — that’s nonprofit work for you. I run to grab another MealPal meal: chickpea curry with rice, root veggies, greens, and shallots. 9:30 p.m. — Once I get home, my husband and I start the new season of BoJack Horseman on Netflix. The show is amazing and so smart and heartbreaking. Between this and Animals., we are really filling out our time with shows about animated animals. We binge a few episodes and then hit the hay. 8:30 a.m. — I wake up early on my own and spend a couple hours doing prep work for my class in bed. 4 p.m. — Once we get home, we decide to hang our new shades we just bought at Home Depot. Unfortunately, we discover that one has a slit cut into it and both of them are super cheaply made. My husband puts them in the car so he can return them on his way home from work next week. 5 p.m. — The tenants from our rental property stop by to drop off their rent for the month. Currently, we just about break even on the condo, but this year there was a tax reassessment and the property taxes are going up such that we will be losing about $100 each month, but getting much more than that in equity. After this year, we may end up selling if the monthly loss is affecting us too much. If we do, the equity will be applied to our home’s down payment so our monthly will be lowered. We’ve already put 27% down, but more can never hurt. 6 p.m. — We binge more BoJack, and afterward I do more prep work for my class. I also scramble a couple eggs for dinner, since I’m not terribly hungry. 10 p.m. — My husband is still downstairs playing video games. I finished my work, so I grab one of my banjos and practice for a bit. I used to practice much more, but at least it’s coming back to me pretty well. When my husband comes up, we watch one more episode of BoJack and then try to sleep. 12:45 a.m. — My husband and I both smell something burning. We try to find a source but can’t, so we get back in bed a little uneasy. 15 minutes later, we see flashing lights outside and there’s a fire truck. My husband goes out to ask what’s going on, and it turns out a neighbor called 911 because of a burning smell but no one knows where it’s coming from, so the fire department is investigating every home in the area to make sure everyone is okay. We go to bed feeling reassured that our house isn’t burning down. 7:30 a.m. — Again I wake up early without an alarm set. And again I stay in bed longer than I should. 2:30 p.m. — Our friends arrive, and we get right to grilling. One of my friends brought her new boyfriend, and he is so lovely. My best friend is here from Brooklyn, too, and I’m super happy she made the trek all the way out here. Especially given the horrible weekend PATH service. 8 p.m. — The last of my friends leave and we clean up. Husband does his own video game thing while I intermittently prep for my class for tomorrow and play banjo. Followed by BoJack and then bed. It’ll be another long day of work and teaching tomorrow, and this time there won’t be celebratory cake. ect individual women’s experiences and do not necessarily reflect Refinery29’s point of view. 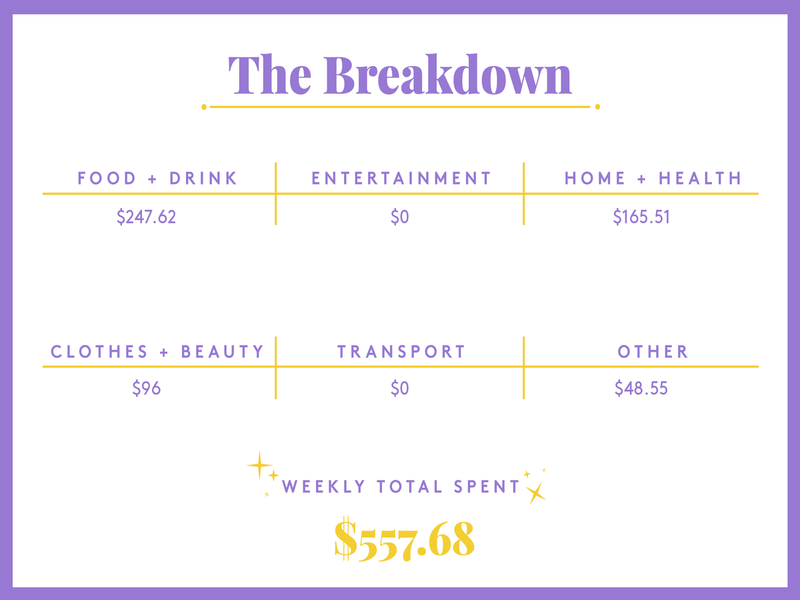 Refinery29 in no way encourages illegal activity or harmful behavior. For a list of our all-time favorite NYC burgers, click here.